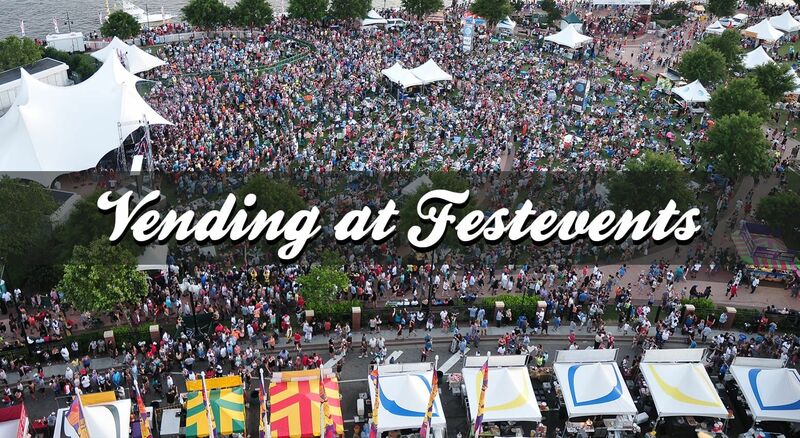 Norfolk Festevents, Ltd. is a national award-winning event management company that provides the opportunity for a variety of food and retail vendors to exhibit and sell their products through nearly 100 days of waterfront festivals and events. This page was designed to provide you with information about our organization and events and answer your questions about how to become involved. All of this information is subject to change. You may complete and submit the food vendor or retail vendor application to apply for space at one of our events by CLICKING HERE. Return the application with all of the requested information as soon as possible so that your company can be considered equally among all applicants. 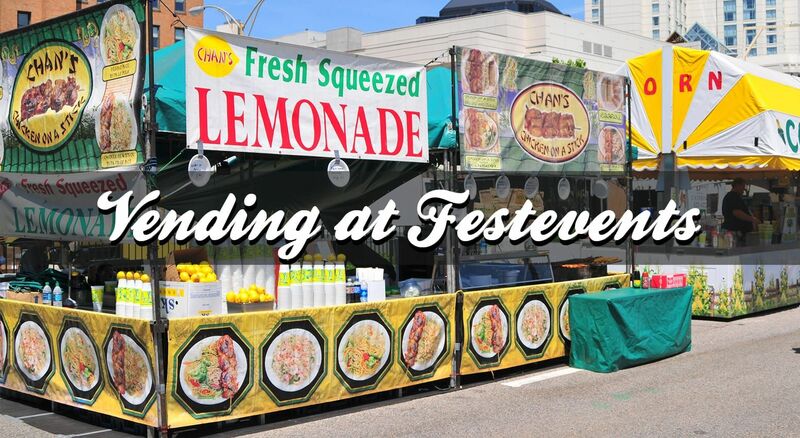 Festevents begins assigning vendors to events in March. If you are applying after March you might be denied due to space constraints or menu/item duplication. 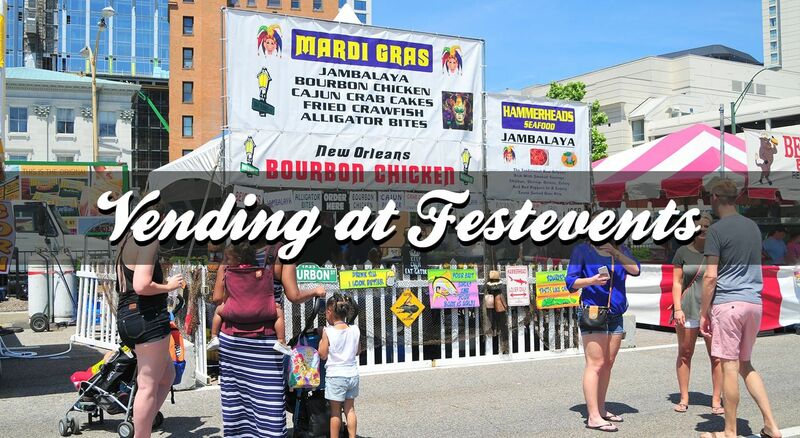 Festevents generally only accepts vendors with experience. References from major event production companies, or similar venues, are usually required. Exceptions from this requirement are occasionally granted. The standard tent size is 10' x 10' for retail and 15' x 15' for food, but we can accommodate almost any size operation. Commercial trailers, including carnival and marquee styles, are generally accepted only at Norfolk Harborfest®. Trailer exceptions will be made for other festivals only after notification and review of special circumstances (i.e. Weight, Dimensions, etc.). Costs depend on the duration of the event (from 4 hours up to 3 days), expected attendance (from 1,000 to 250,000), size of operation (from pushcart to 20' x 20') and products offered for sale. Upon acceptance, fees start at $100.00 for retail and $125.00 plus 10% of sales after taxes for food. Fill out the application indicating which events you'd like to participate in. Our Concessions Committee will select the vendors based on quality and variety of products, site appearance, past experience, and originality. An officer of your company must sign a standard lease agreement with the City of Norfolk. This lease agreement protects each of us from any legal circumstances that may arise from your company's participation. 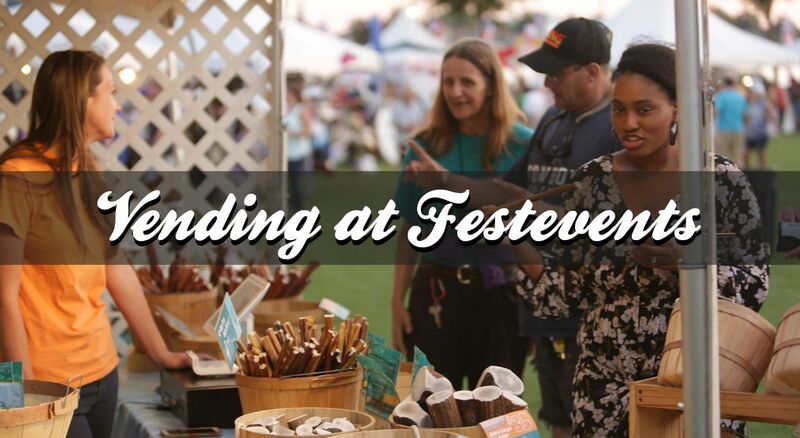 The lease agreement is mailed to each vendor approximately eight weeks prior to the event and is due to Festevents four weeks prior to the event. Payment is due with the lease agreement. Every vendor must carry liability insurance with minimum policy limits of $1,000,000.00 for damage to property. Insurance must include products liability. Upon acceptance into an event, the City of Norfolk, Norfolk Redevelopment, and Housing Authority, Norfolk Festevents, Ltd., their agents, volunteers, officers, and employees must be named as additional insurers. 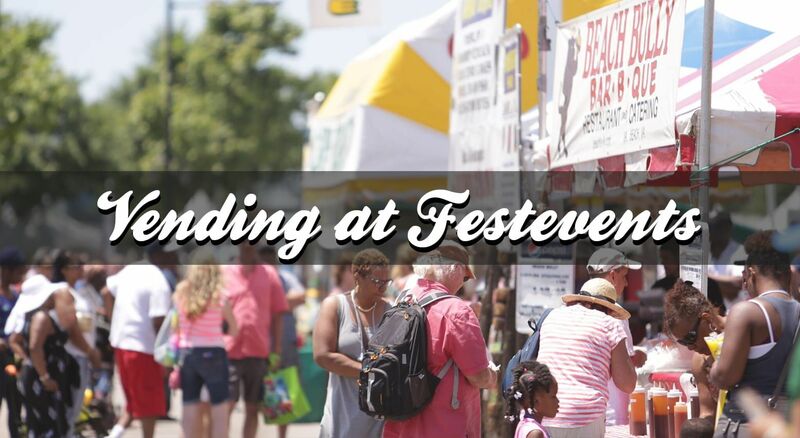 A valid certificate of insurance is due with the lease agreement to Festevents. Upon acceptance into an event, every vendor needs a license to do business in the City of Norfolk. Contact the Commissioner of Revenue at 757-441-2271 for more information regarding a business license and tax payments. Upon acceptance, every food vendor must have a temporary food permit on file with the Norfolk Department of Public Health. Contact the Norfolk Dept. of Public Health at 757-683-2700 for more information regarding a temporary food permit. Participation, in any event, is contingent upon meeting the requirements of these two City of Norfolk departments. Does Festevents have ice available? We will have ice available for sale to vendors at every event. 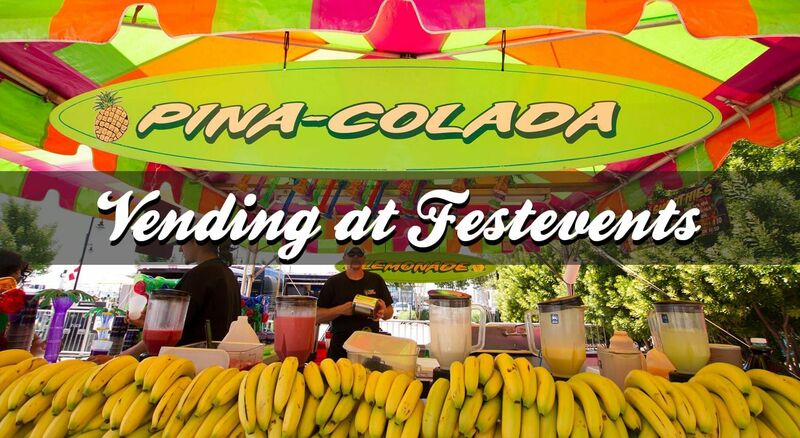 Festevents will collect payment for ice purchased at the conclusion of each event. Of course, you can bring ice with you, if you'd like. We offer ice on-site as a convenience to our food vendors and ice sales are not one of our income sources. Park power limits make it impractical for a food vendor to operate an ice machine on-site. Do any sponsors have exclusive sales rights? Festevents will attempt to secure sponsors in the soft drink and bottled water categories. 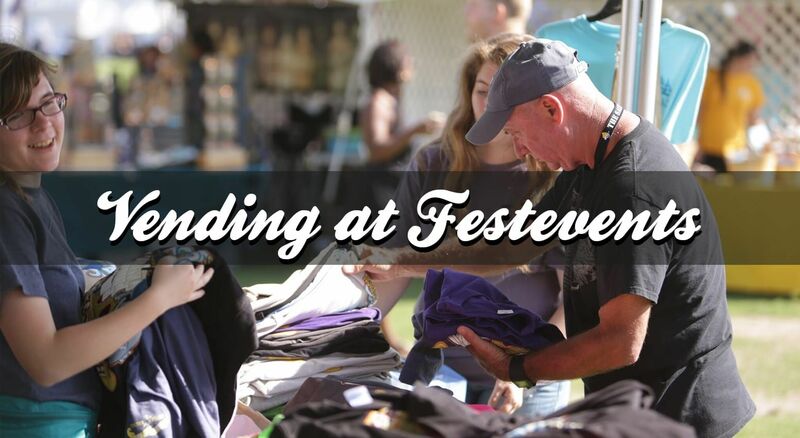 Festevents reserves the right to secure and offer exclusive rights to sponsors in any other category. Upon acceptance into an event, you will be notified of our sponsors' exclusive sales rights and you will be required to purchase only these items if you choose to serve them.